Bodyguards are usually meant for a special set of people who constantly need to be protected. But what if someone asked you to be their bodyguard? Would you take the job if the money and training were great? As someone who isn’t athletic, I would probably get the person I’m protecting in trouble within the first five minutes of being with them. Plus, it doesn’t help that I’m not long and lean like many other bodyguards who tower over the person their protecting. In reality, though, I often see many stories about male bodyguards protecting females specifically. It isn’t often I see a story where a female is protecting a male. SP Baby is about a woman named Hasegawa Tamaki, a woman in her early 20s who has to work several different part-time jobs to help support herself and her younger brother since her parents died when she was younger. She’s been unsuccessful at finding at a full-time position until she one day stops someone from chasing a man down. It ended up a bodyguard chasing his master, Sugou Kagetora. A few days later, Kagetora goes back to Tamaki and gives her a job offer to be a full-time bodyguard which Tamaki ends up accepting. Generally, the feminist in me would be appalled at the amount of sexism placed Tamaki while she’s working. Kagetora is a pervert in some aspects when it comes to romantically pursuing Tamaki. But he doesn’t do it in a manner that goes overboard toward obsession. He still maintains the stereotypical flair when it comes to the innocence he has toward pursuing a romantic partner, something that is commonly found in several romantic mangas. It helps that Tamaki is willing to step in and make sure that Kagetora is kept in line, but I’m on the fence about positions Tamaki ends up in due to the writing choices of the author. There are a lot of comedic moments in this manga that makes me laugh. Most of it comes from Tamaki trying to understand specific scenarios as she’s thrown into a new world of rich politicians. It’s these moments that get me laughing. But it’s also some of the moments with Kagtora’s other main bodyguard, Mikeyama, that make me randomly bust out laughing. He is meant to be a serious character, but this seriousness is used to make comedic moments that will surely make the readers laugh. The pairing the author created with this character was a really smart move and was able to get my attention in an instant. The plot itself is nothing too fancy. Since most of the story revolves around Tamaki, I got an insight into her “innocent” nature when it comes to the world around her. While she isn’t ditzy, she is trying to figure out how to navigate her new job and the people she meets because of it. It also helps that several of the romantic archetypes are still intact with this manga, but it doesn’t go entirely overboard with all the tropes to make me bang my head on the wall. The art style is pretty average in my opinion. It tends to have more focus on the characters’ expressions with some emphasis on the background. The only “unique” aspect of the artwork is the mentions of the actions that occur throughout the manga. But even then, the drawings are really beautiful and detailed. It’s just an average drawing style overall unfortunately and I was hoping a little bit for this manga considering the plot that was used. At least this didn’t go overboard on using too many still moments compared to other romantic mangas. 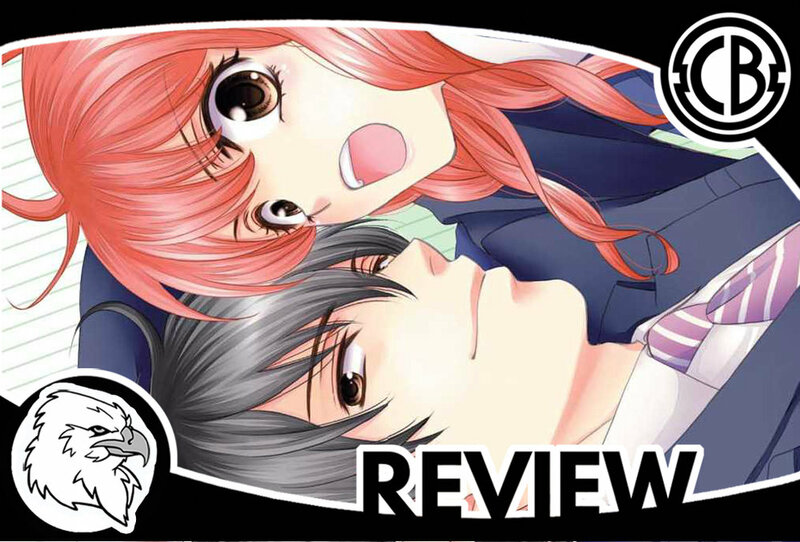 Hopefully, the later volumes are just as comedic as this one yet try not to be as focused on sexual incidences to emphasis a budding romance between the couple. I’m looking forward to what scenarios the author has to offer for this pair and I hope she is able to balance it out with a few romantic tropes. But for now, all I can really think about is how average this is. This manga is for the person who wants a light comedy that will get them through the night and feel refreshed for the next day.